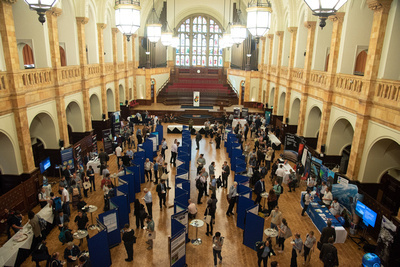 The UK National Earth Observation Conference 2018 held on 4-7 September at Birmingham University gathered over 380 delegates, representing a mixture of academia, industry and governmental organisations. The conference was a good opportunity to share ideas on the benefits of satellite applications and to learn more about the future of EO programmes. There was a strong theme of the application of Artificial Intelligence and Machine Learning to the EO sector. 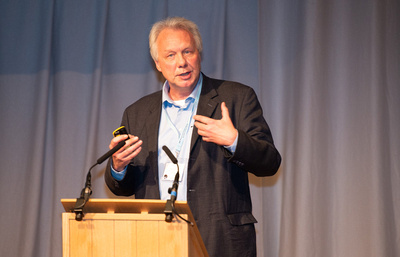 Professor Christian Heipke, President of the International Society for Photogrammetry and Remote Sensing launched this in his Keynote speech on the evening of the 4th. EMCoE and our local business partners, Excel2Aviation, EarthSense, and Geospatial Insight were exhibiting and presenting at the conference, alongside the Satellite Applications Catapult. 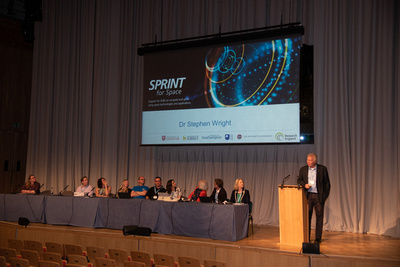 EMCoE showcased SPRINT (SPace Research and Innovation Network for Technology) and explained how SME’s could use it to gain access to expertise and assets within the 5 partner universities. Following the presentation a number of businesses approached us about gaining access to the programme to allow them to develop and deliver new products and services to the space sector.